One of my major hobbies is amateur radio. I'm holder of class-1-licence since 1998. Before I was active on VHF only as DG6YDO from 1985. My favourite bands are 40 m & 10 m. 6 m is also very interesting but unfortunately restricted in Germany. When visiting a country with more liberal regulations this is then my most favourite band. I was very active on 6 m from Northern Poland in the summers of 1999 - 2001 using the polish callsign SO0YHO. Due to lack of time in the past few years my activities on the bands today are very low. Therefore I spend more time for mobile radio, sometimes even on shortwave. Travelling to my company takes time which I fill with "radio acivity" mainly on local repeaters. I'm working as a measuring technician and this job sometimes brings me throughout the world. Depending on local conditions occasionally there is a chance to activate the shortwave bands. My personal highlight was in March 2000 from the Kruger National Park in South Africa as ZS/DH6YHO. If you are more interested in my excursions please have a look on this page (some pages still in progress). My town has about 36000 inhabitants including 3 neighbouring villages which also belong to Warendorf. I live in one of them together with 7000 other people - somewhere else it would be a town! 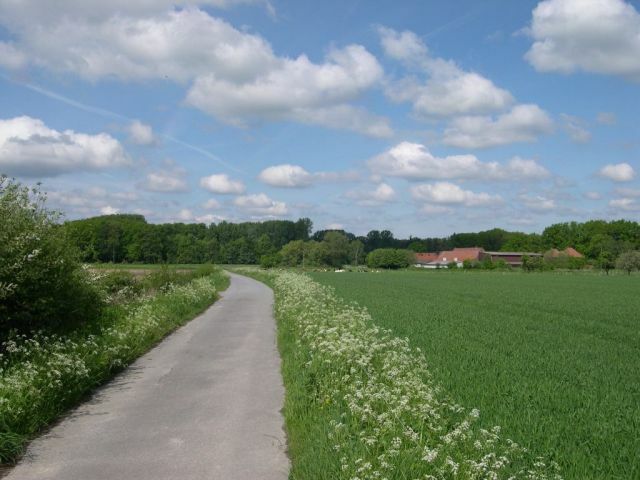 Cycling is very popular in this area since the landscape is mainly flat and there are many well-made farmer's roads apart from normal roads. If only I have some time I ride my bike for an hour or more! I hope you will enjoy visiting my homepage. If you have any questions or suggestions do not hesitate to write in my guest book (still part of my old website).